IFOs have been spotted in my garden! 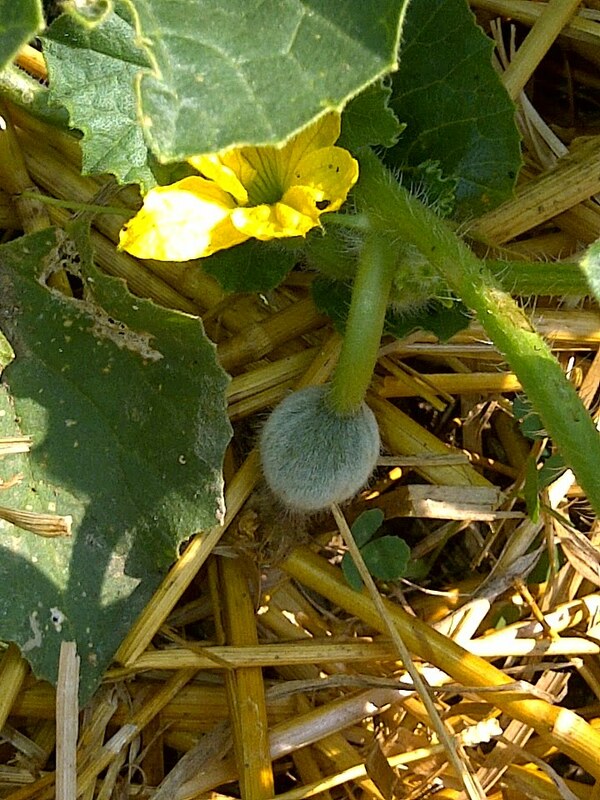 Yes…garden gals and guys identified fruiting objects have been spotted and I am SO happy to see them! 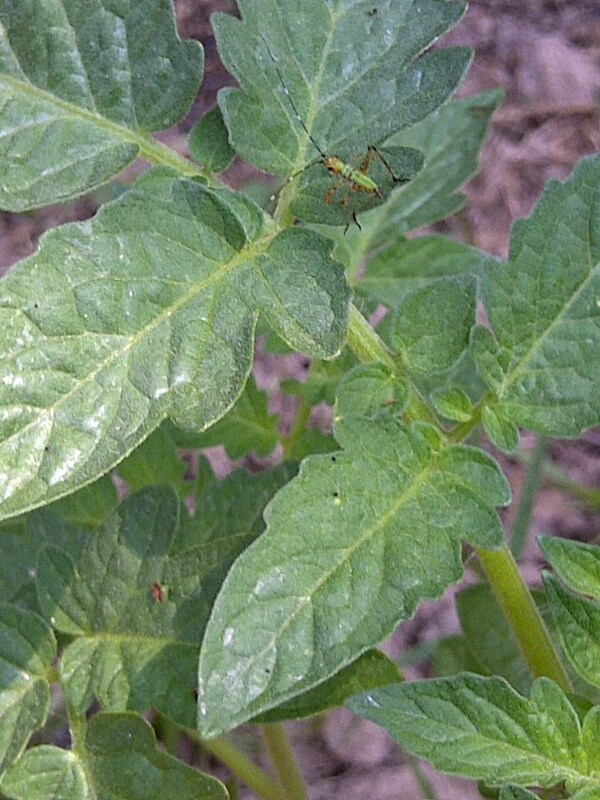 I went to the big garden to water and weed and of course to bug patrol (have to watch for stink bugs …and I did *gulp* see one on my pepper plant). 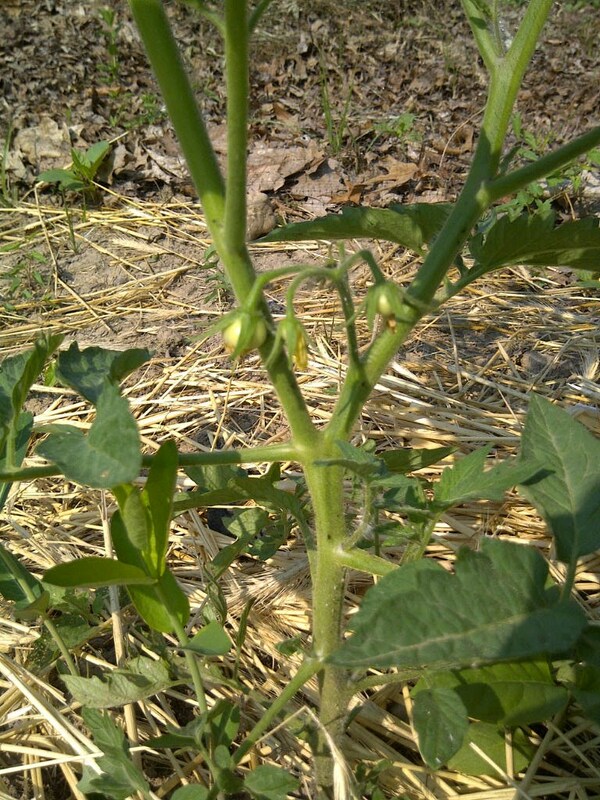 As I was looking at my maters, I noticed some tiny little fruits! There are about thirty or so that I saw and many more flowers as well. 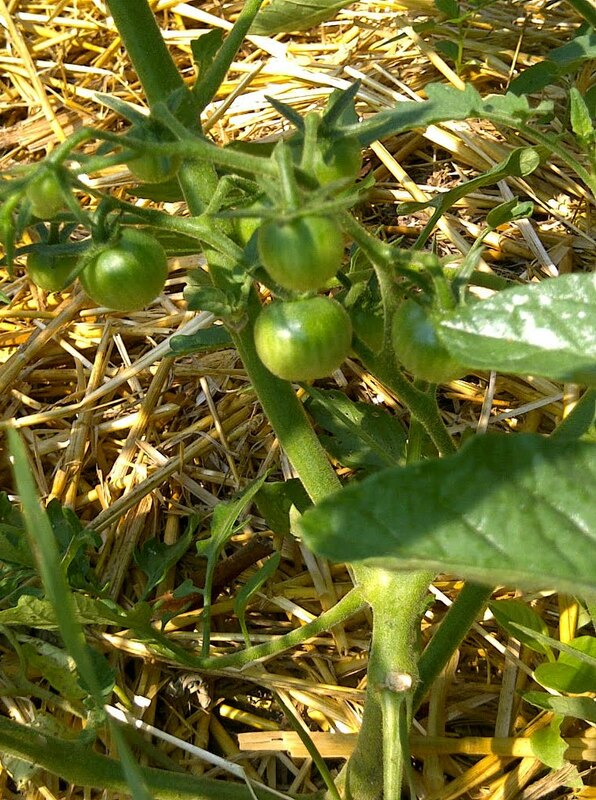 I am hopeful that there will be a bumper crop of all kinds of maters! 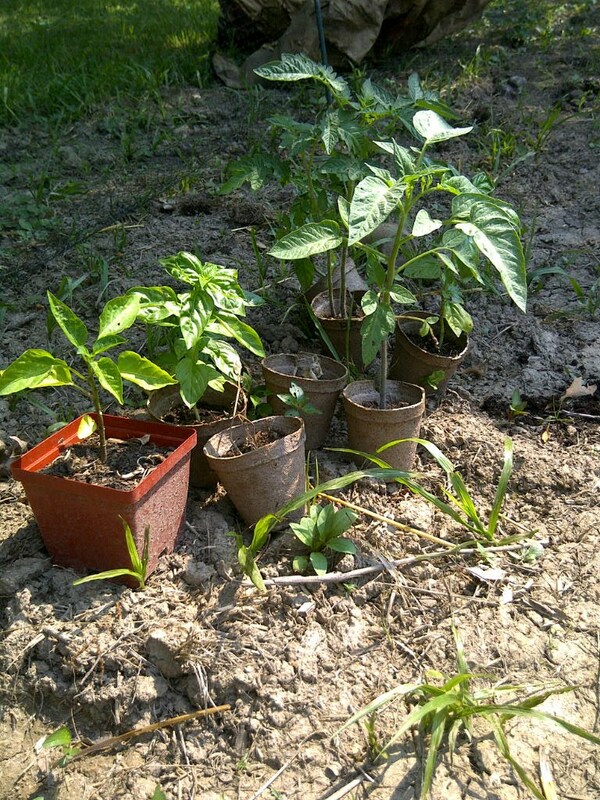 Here is a picture of the sungold plants. They are getting so big! I need to stake them, I know. I figure if they are thriving I’ll let them be! 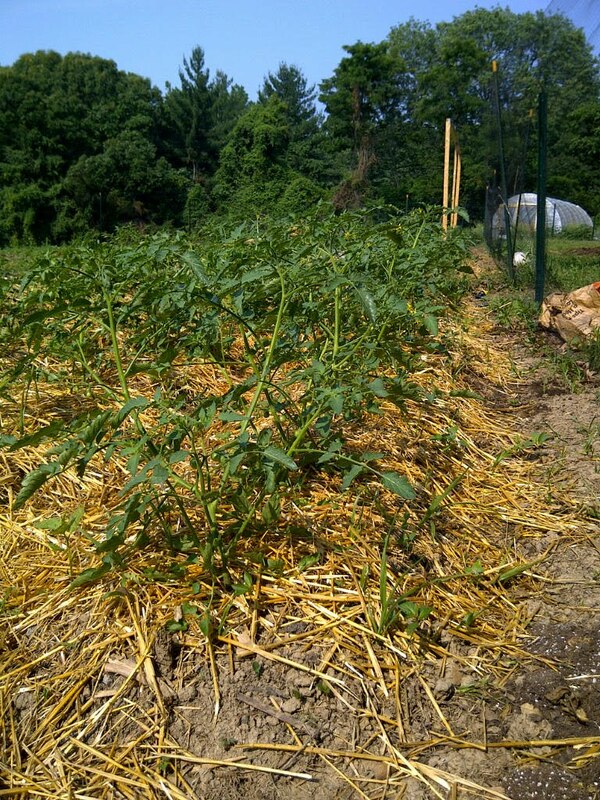 They feed on tomatoes, eggplants, potatoes and other plants. 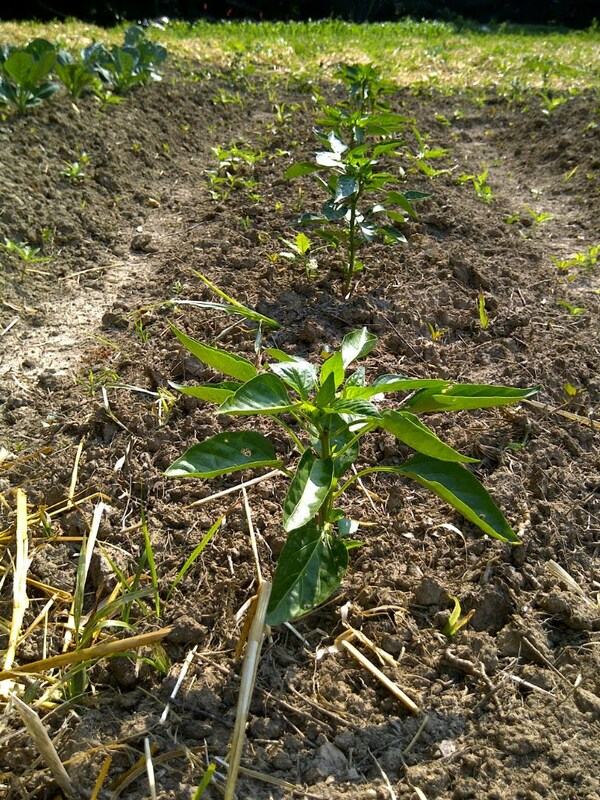 They feed on the leaves and will totally decimate your crops! 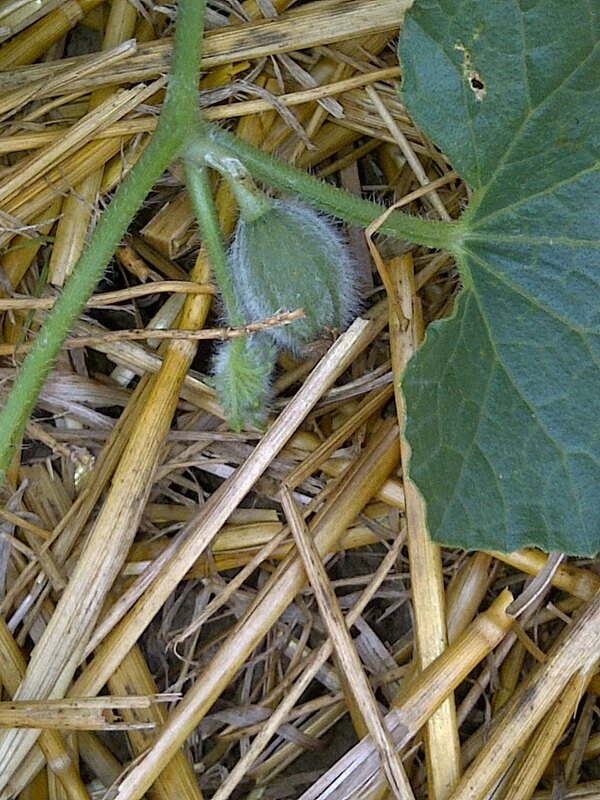 The females are very prolific and can lay up to 800 eggs on the undersides of leaves. The eggs are usually orange and are in clusters. 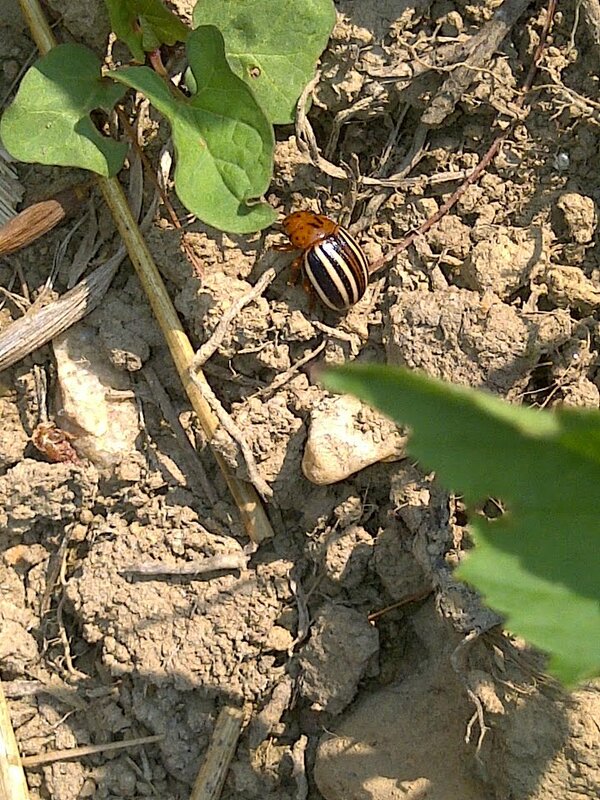 So if you see this bug any where near your garden, kill it! Then check the undersides of your plants for eggs and if you see any you need to put your garden gloves on and smoosh those eggs! I have no idea what it is but I left him be since he didn't seem to be doing any harm to my plant. I'm hoping he's a beneficial! I think I will call him Benny for short.